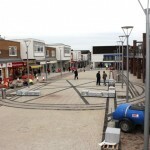 Newton Aycliffe town centre’s £2m development is close to being completed, ready for an official celebration. Construction and development company Bowmer and Kirkland have just about completed the upgrade, which has seen the iconic ramp disappear. And it’s expected to be completed this week – exactly a year after the official opening of Aldi’s new store in the town. A high-profile re-launch of the centre is planned for the afternoon of Saturday November 16. Work started on the development in February as the third phase of a £10m ‘Master Plan’ for Aycliffe, which has included extensive works. The shopping centre now looks brighter, cleaner and more modern – and when you view it from the Aldi end of the town, is almost unrecognisable from what the tired old town centre resembled three years ago. 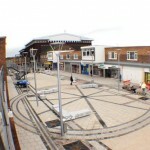 The Labour MP for Sedgefield, Phil Wilson, is based in the town centre, and he said: “We have to remember just how far we have come in recent years. We’ve seen the demolition of the disgraceful library and health centre, making way for a modern Aldi store which also opened up the Greenwell Road end of the town. 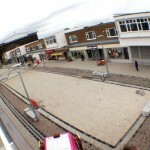 “The town centre now looks fantastic and it will really give the town another new lease of life. “With all the great things that are happening in the area, this is just more good news for the town. “We’ve seen Tesco move here in recent years, Aldi opened a new store in the town exactly a year ago this week and there are further works planned to improve the centre even more. 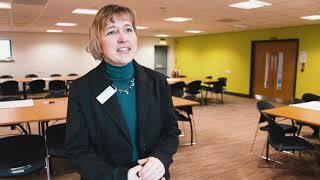 “On top of that we have some fantastic work going on at Aycliffe Business Park, with firms like Gestamp Tallent and Ebac creating new jobs, and the obvious addition of Hitachi Rail Europe coming to the town. 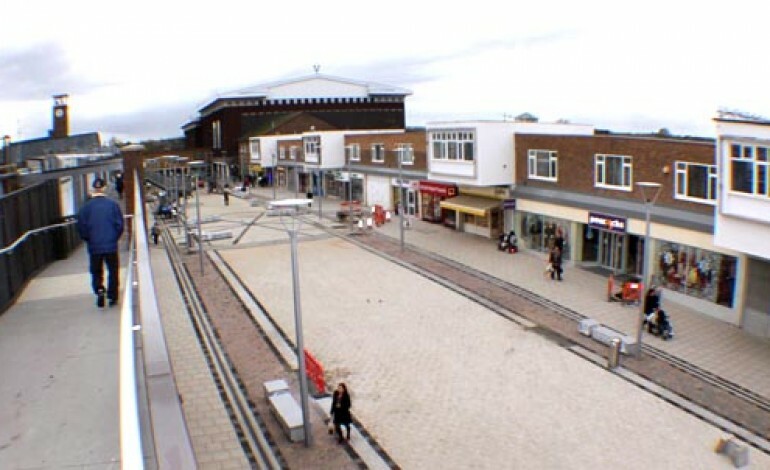 Aycliffe town centre is managed by London-based property management firm Freshwater, who revealed the town centre plans in January. The works has includes the demolition of a large and ugly concrete ramp and other aging features including stairwells and heavy canopies. 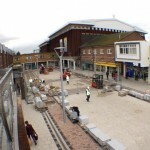 Trees are being replaced and new lighting, street furniture and stair cases have been introduced to open up and brighten the landscape of the town centre. 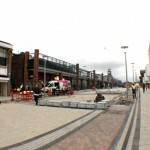 The first phase of the town centre ‘Master Plan’ redevelopment was Tesco’s new store and the relocation of the library, and the second phase included the demolition of the old library and surrounding buildings and the construction of the new Aldi store. A fourth phase, which involves the demolition of the shops along Beveridge Arcade and opening up the other end of the town centre, can’t begin until next year but will total around £10m spent on the whole redevelopment. Benches are too low for disabled and old people to sit on and be able to get back up again, I thought people had to take things like this into consideration?